Damian Lillard hosted a meet and greet session at the Adidas store in New York City yesterday (November 26th) to sign autographs and take pictures with fans. While at the shop, Dame D.O.L.L.A. spoke to SLAM Online about his friendship with Lil Wayne and why he thinks Wayne continues to support him with music and on the basketball court. You can read what the NBA player and rapper had to say about Weezy after the jump below! Click here to also listen to their latest collaboration “Run It Up“. Damian Lillard, who goes by the stage name of Dame D.O.L.L.A. in hip-hop, recently chopped it up with Billboard to promote his new album, Confirmed. 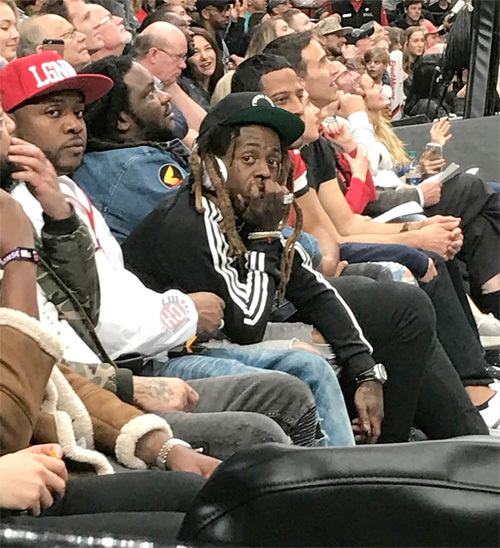 During their interview, the NBA player and rapper talked about Lil Wayne sending him songs to jump on, the biggest way in which Wayne has tested him with music, and more. You can read everything what Dame said about Weezy after the jump below. If you have not yet heard their “Run It Up” collaboration, click here to do so! Damian Lillard aka Dame D.O.L.L.A. recently sat down with HotNewHipHop for a one on one interview to chat all about his new single “Run It Up” featuring Lil Wayne. 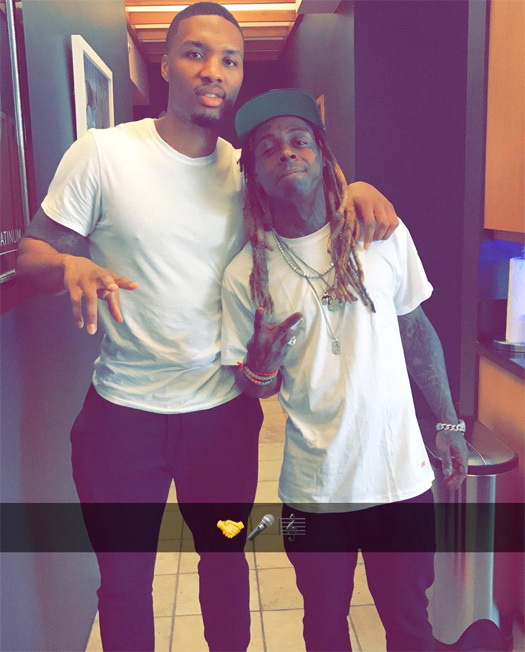 The NBA player and rapper revealed “Run It Up” is probably the best song he has released to date, as well as what he learned from being in the studio with Weezy. Dame also spoke on Tunechi‘s recording process, Birdman clearing the feature, and told a story of Tune coming up with a hook idea while a beat played in the studio!